This is a compendium of all the special-purpose tools necessary for working on modern Vespas and many related Piaggio products. Note that this article is just about specialty tools, and not common tools like wrenches and screwdrivers or anything you can find at your local hardware store. Most of these tools must be purchased from Piaggio or a parts & accessories vendor like Motorsport Scooters. However, we'll provide pointers to homemade equivalents where available. A variator holding tool can be made from and old variator half. The fins on the variators line up spreading the forces and allowing the removal and re-torquing of the nut. The hardest part of this project is making a big enough hole in the center for the socket. 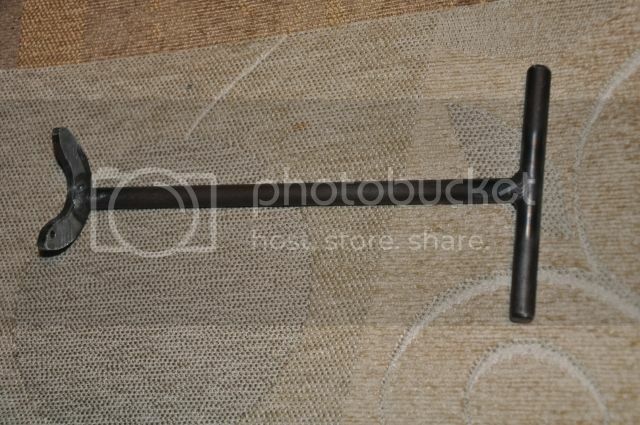 After the center hole is made a simple handle is bolted on and you're good to go! Another version of the variator tool can be crafted from some scrap plywood and a few nuts and bolts. Drill holes in the plywood as shown making sure that they evenly spaced according to the fin spacing on your variator. Install the bolts and wrench away! Once again, a hole large enough for the socket is needed in the center of it all. 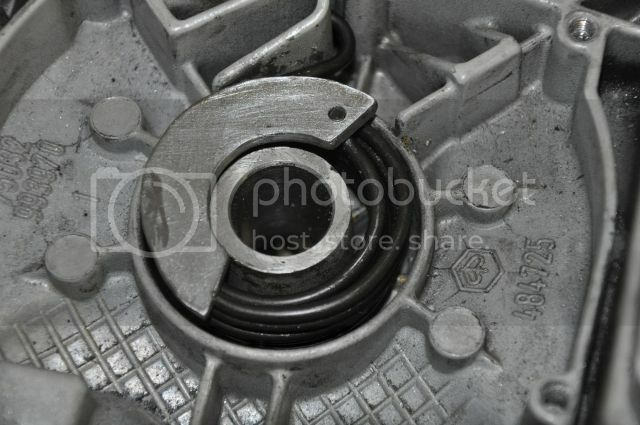 Here is an easy to make special tool to hold the CVT still while tightening its nut. Refer to the picture below that you can print out or (preferred) download the pdf at the link below. You need a 1/8” thick, 6 1/2” x 7 1/2” [3mm thick, 165mm x 190mm] plate of aluminum to make the tool. 3 spacers with 1/4” [6.2mm] ID and a length of about 1 7/16“ [37mm]. Print out the template. Make sure the length and width of the template are 6 1/2” x 7 1/2” [165mm x 190mm]. 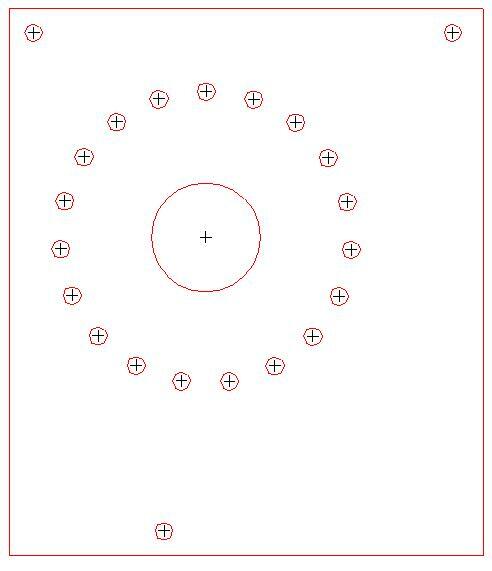 Using the printout as a guide, drill all holes with a 1/8” [3mm] bit. 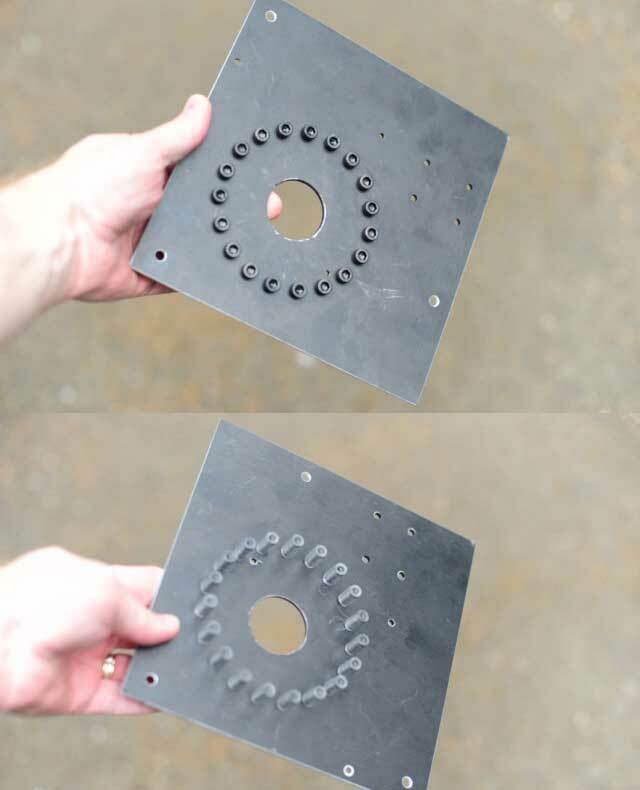 Drill all 19 holes in the circular pattern with a .201” [5.1mm] bit. Drill the center main hole with a 1 1/2” [38-40mm] bit, and the 3 along the edges with a .240” [6.1mm] bit. Tap all 19 holes with an M6 x 1.00 thread. Screw all 19 M6 screws into each of the threaded holes. Optionally you can cover all the screw threads with vinyl tubing. 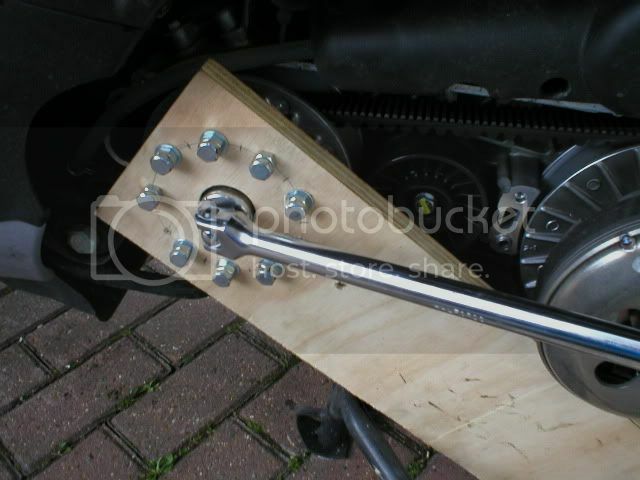 A fine example of a home made clutch tool - cheap, simple and effective! Another home made plywood tool! If you don't have a clutch tool available you can use a wedge under the rear tire as shown. To undo the clutch nut place the wedge in front of the tire, to replace and re-torque the clutch nut place the wedge behind the tire. 1) Stand on the right side of the scooter and squeeze the rear brake with your right hand. 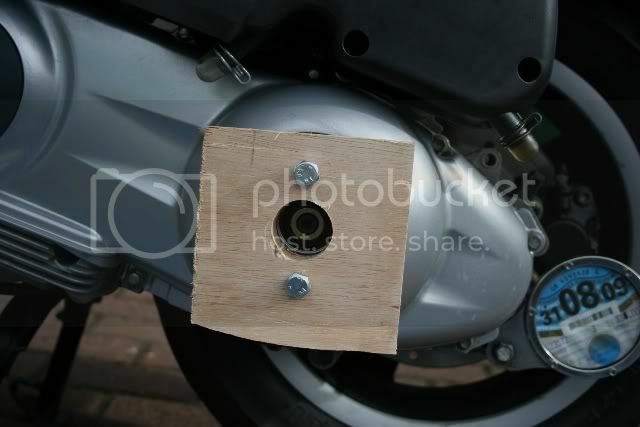 2) Bend over the seat and put as much weight as you can on the scooter pressing the rear wheel onto the wedge. 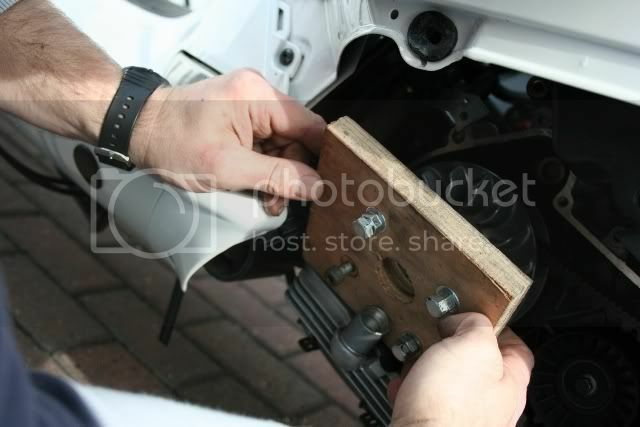 3) With your left hand pull the wrench up from the bottom to loosen the nut. 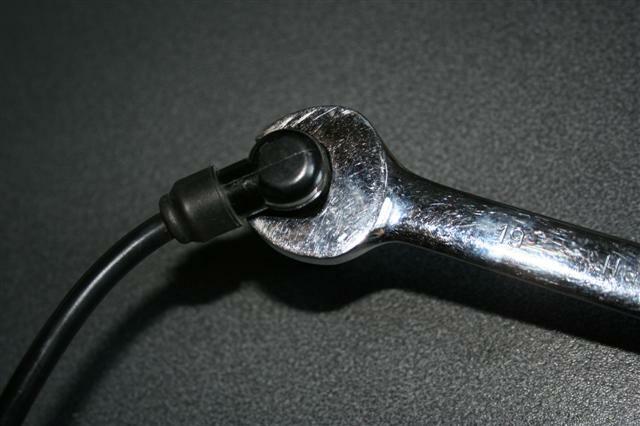 You may have to use some sort of an extension on the wrench handle the first time you remove the nut as they are tight! Remember: Always re-torque to spec when you are putting everything back together! Wedge in front of the tire to loosen. Wedge behind the wheel to re-torque. See GT/GTS/ET/LX: Clutch Holding Tool for a home made clutch holding tool. Jettin' Double Ended filter/drain plug wrench. Will fit the following: ET4, LX150, GT200, GTS250, GTV250, GT60, BV200, BV250, MP3, and Buddy 125. If you've ever removed the kickstart mechanism and needed to reload the spring, this tool will come in handy. It's very easy to make yourself with a couple pieces of round-stock and a large flat washer. 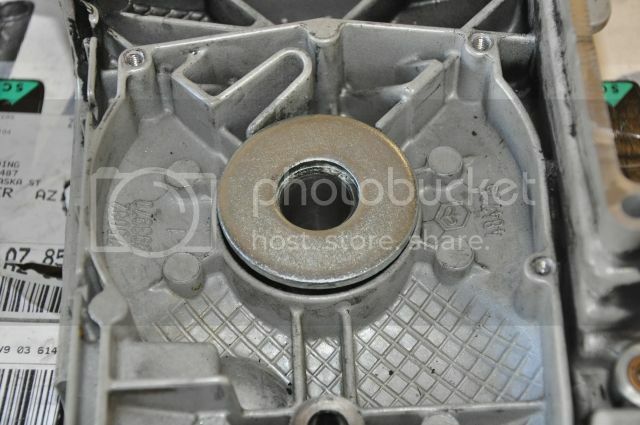 Use a flat washer that is very close in size (inside and outside diameter) to the recessed area in the transmission cover that holds the kickstart spring. Cut/grind/file the piece until you have something that looks like this. The hole in the end is just big enough for the end of the kickstart spring to fit. 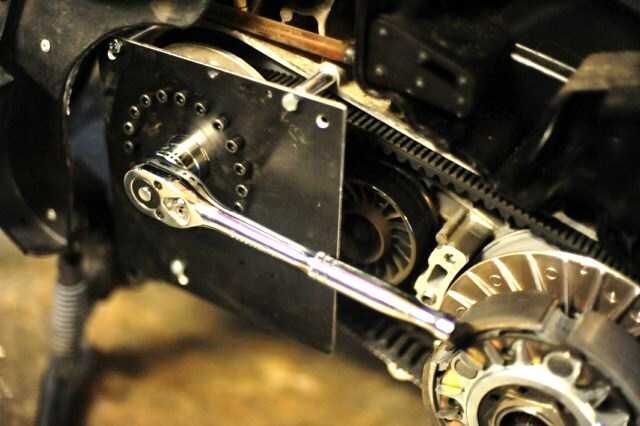 Weld on a "T" handle so you can grab and twist the kickstart spring as you are inserting kickstart gear/shaft into the transmission cover. 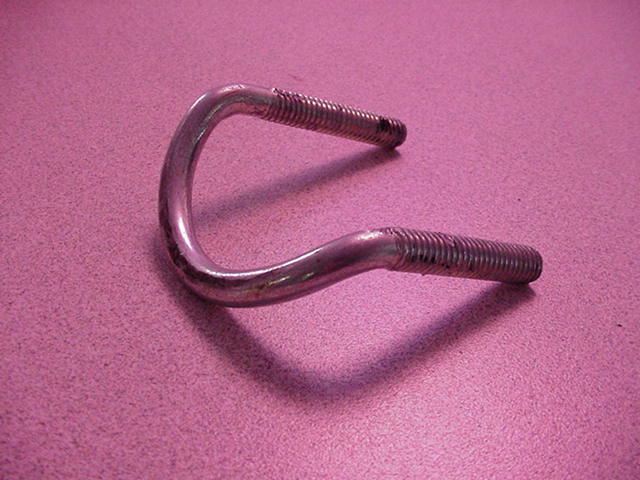 It's next to impossible to load the kickstart spring without this tool or something similar.